Michael Jordan led the Chicago Bulls to six NBA titles and it is not surprising that almost all his signature shoes have colourways inspired by the Bulls team colors. And this May 2011, another Chicago Bulls-inspired shoe is set to be released. The Jordan Classic ’82, which hit strides during the earlier releases of the shoe, will come out in Black/Varsity Red-White colourways. The shoe features a black upper part enhanced with white midsole and varsity red touches on the outsole and the Jumpman 23 logo on the black tongue. 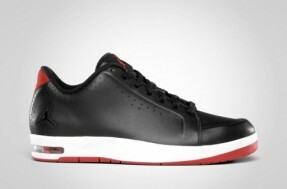 With its impressive design, the Bulls-inspired Jordan Classic ’82 will surely be hit next month! Another Jordan Classic ’82 Released!